Created from a variety of genetic selection mainly sativa and high production, suitable for cultivation both indoors and outdoors. The long flowering period of this variety, some ten weeks, is widely offset by rapid growth, high production and continued fattening buds cover the branches and increase in size during each week of flowering. The appearance and structure of this plant is typical of plants with predominantly sativa Haze and Asian ancestry, with long stems and long arms, great vigor and growing very fast and can reach sizes of more than 3 meters in cultivated ground outside. These plants are well adapted to the requirements of crops and domestic crops are appropriate for SCROG type or tangled branches. 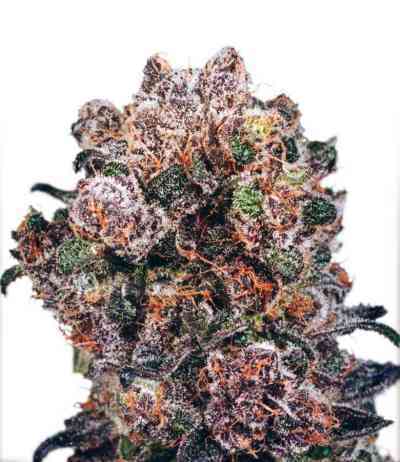 The production of buds is very high for being a mainly sativa plant, flowering branches become long buds to fatten covered with brilliant flowers and aromatic resin. Flavorings off these flowers are mostly spicy and incense, finding in some individuals touches anise. The effect of this variety is joyful, inspiring and insightful. Plant suitable for cultivation in humid climates due to its resistance to attack by fungi.